Welcome to Day #2 of Chocolate, Salt and Almonds Theme Week. 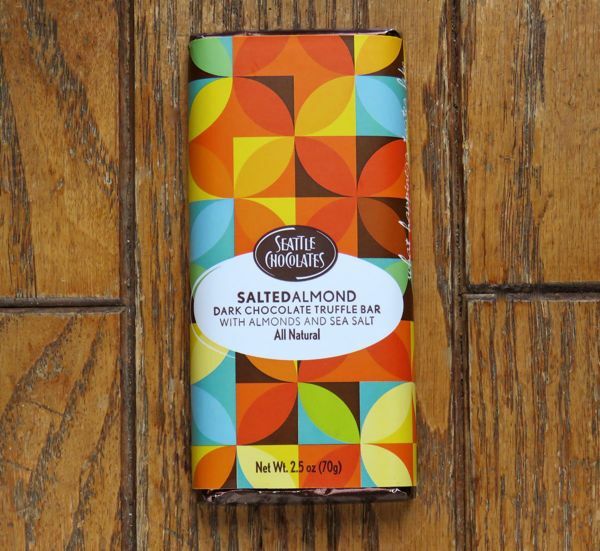 Today's Salted Almond bar from Seattle Chocolates (Seattle, WA) was part of the company's Truffle Bar line—scored bars filled with a softer middle. This one was decorated with a modern, wavy linear pattern (vaguely reminiscent of woodgrain or ripples across a lake) on the outside. 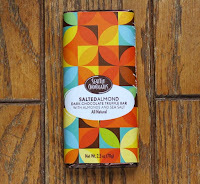 This bar smelled and tasted like salted dark milk chocolate (although it contained no dairy ingredients); and it had chunks of dry roasted almonds embedded in the creamier chocolate middle inside, with a hint of sea salt. 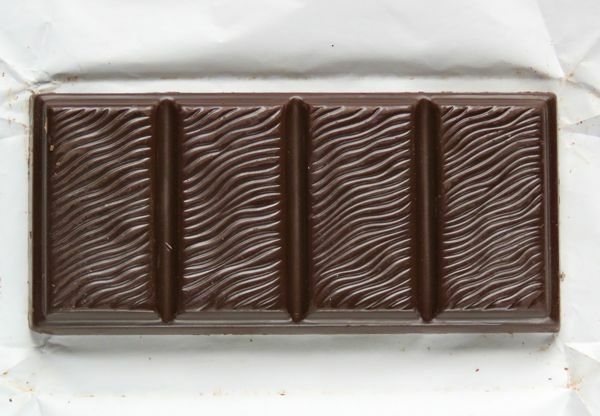 This Gluten-Free, Vegan and Non-GMO bar was made with Rainforest Alliance Certified cocoa and bore the Kosher dairy symbol.